The plannings for the construction were started in 2015. It is set to cost Rs 441 crore, a hike of Rs 141 crores from earlier estimate. The National Highways Authority of India (NHAI) has chalked out a plan to build the longest flyover of Nagpur city which is estimated to be 7.30 km long. The flyover will connect north Nagpur to south Nagpur as the stretch will begin from Kamal Square (North Nagpur) and connect Sakkardara flyover (South Nagpur) after passing through central Nagpur. The project is set to cost Rs 441 crore. NL Yeotkar, NHAI project director said that the detailed project report has been submitted for final approval to the authorities of road transport and highways which is headed by transport minister Nitin Gadkari, reports TOI. The project will be completed in two and half years, Yeotkar confirmed. “It will give smooth connectivity between North, Central, and South Nagpur and also ease congestion in the busy Central Nagpur roads. Mishaps too will come down,” he added. The plannings for the construction of the flyover were started in 2015. At first, it was planned from Indora square on Kamptee road to Ashok Square on Bhandara road after passing through Agrasen Chowk and Golibar Chowk. But, then the plan was changed. According to the new plan, the flyover was divided into two parts - a flyover from Indora Square to Golibar Chowk and from Agrasen Chowk to Ashok Square. “There was an impediment for the construction of the flyover from Indora Square to Kamal Square. Therefore, we have planned a 300-metre underpass at Indora Square which will bring traffic from Nara to the stretch leading to Kamal Square flyover. Entry and exit onto the flyover will be provided at major junctions on the stretch”, Yeotkar said. According to the reports by TOI, the Pachpaoli railway overbridge will be demolished in order to pave the way for the flyover. The ramp of Sakkardara flyover towards Ashok Square will be razed to the ground to connect the new flyover with the Sakkardara flyover. The other side of the ramp will be untouched. The last stretch of the flyover will be constructed connecting Bhande Plot Square with Shitlamata Square when the road will be at ground level. 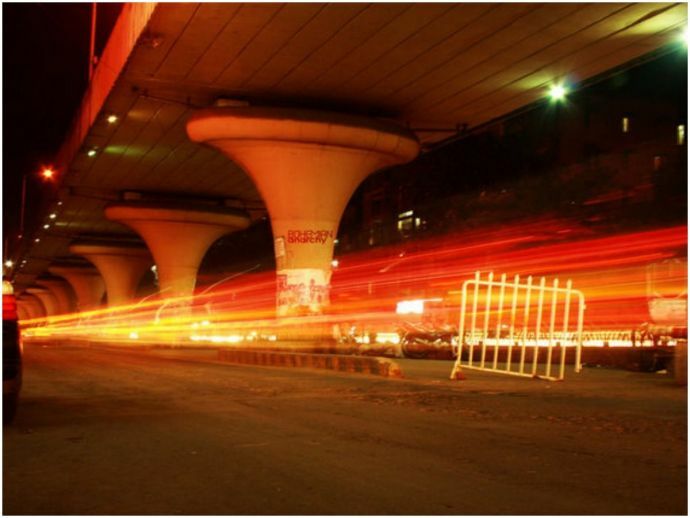 As of now, the Sitabuldi flyover is the longest standing flyover in the city which is less than 2km long. Once it is fully constructed, the Pardi flyover will also be the longest with a length of around 7 km. Central Nagpur MLA Vikas Kumbhare said that the project will be totally funded by the centre.